Coaching is a newer profession which has synthesized the best from psychology, business, transformation, philosophy, spirituality and finance to benefit the entrepreneur, professional and business owner. Client and coach become a team, focusing on the client’s goals and needs and accomplishing more than the client would alone. With a coach, a client takes more actions, thinks bigger and gets the job done, thanks to the accountability which the coach provides. The coach knows how to help entrepreneurs make more money, make better decisions, set the best goals, and restructure their professional and personal lives for maximum productivity. Entrepreneurs, business owners, professionals and people in transition use a coach to address areas of concern, solve, create or plan something, personally and/or professionally. But How Does A Coach Do This? Coaching is delivered during regular, weekly sessions by telephone and/or in person, whichever is more convenient. Clients bring an agenda of items to the call. The coach helps them to solve the problems and make the most of the opportunities. When they are missing a principle or distinction, we draw one so they can see a whole lot better. When they are taking on a large goal, we help them design the project and provide the support and structure needed to make sure it gets done. We bring out the client’s best by offering advise, expecting a lot, helping them strategize and celebrating the wins. My practice is national, with clients in every area of the country: In big cities and small towns; small business owners to CEO’s, business goals to personal goals. Does this coach have a track record of helping someone like me accomplish the goals I want? Will this coach keep up with me – and ahead of me – as I grow? That’s it. You can always check references and try out the coach for a month to see if he or she is really the right one for you. Entrepreneurs and small office professionals who are smart, quick and ready to do what it takes to reach breakthrough goals. Individuals who are making substantial changes in their personal and professional lives. Individuals who are working on an important project. The fee for most clients ranges from $350 to $575 per month for a coaching call. There are no other charges and clients may call in between calls for additional assistance, if needed. How Would I Get Started? If you feel that this type of relationship could work for you, call and let’s talk. Coaching is not something we sell; it is something you buy because you want it. Most coaches begin with a special client meeting to get to know each other. The coach wants to hear about the client’s goals, needs and problems. The client wants to get comfortable with the coach. During this meeting, both parties design a list of goals and a game plan to reach these goals. Prior to this meeting, the client will have received a welcome package in which are checklists and assessment materials to make the most of this meeting. 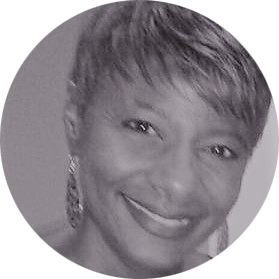 I spend extra time (gratis) with new clients getting to know them and coaching them to set the best goals for themselves and together we design the best way we can work together as a team to accomplish the goals. 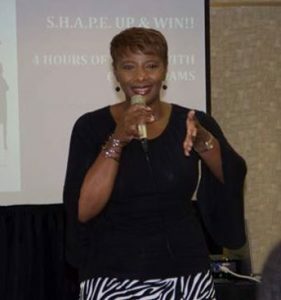 Coach Adams is a dynamic speaker and trainer available for speaking engagements, conferences, team building sessions, group coaching and consulting. Email TODAY to book Coach Adams for your next event at coach@coachadams.com or call (310) 289-2101.